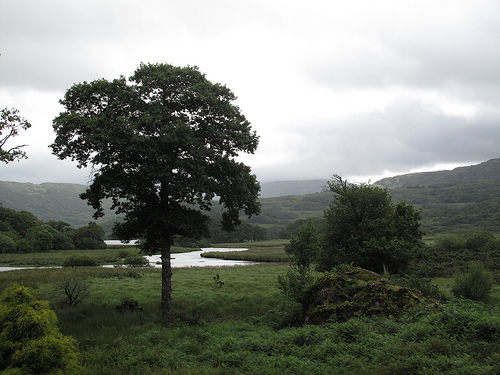 The last day in Ireland and my overseas trip was spent in Killarney. We went on boats through several small lakes and a river, then had lunch and then went for a ride on a horse cart. 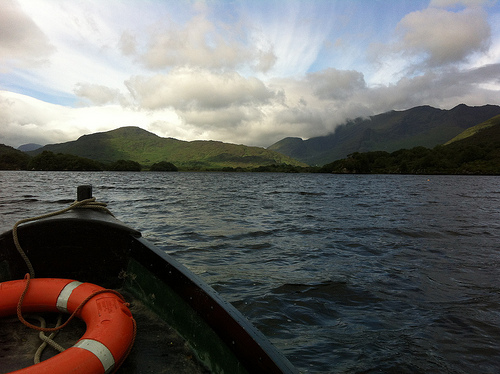 This entry was posted in Europe - United Kingdom, Ireland, Sports and tagged boat, cart, horse, Ireland, Killarney, lakes on July 17, 2012 by admin. 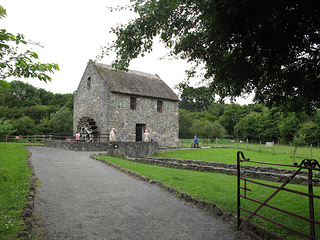 Bunratty Castle and Folk Park in Killarney, Ireland was my idea of a perfect way to explore history. The castle was built in 1425 and restored in 1954. Visitors get to explore most of the castle, using tight, twisting steps. 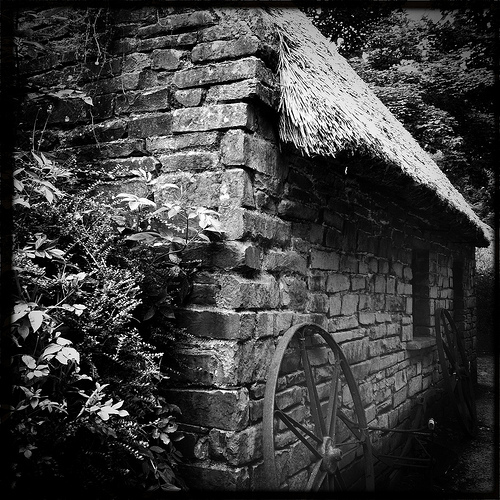 Folk Park consist of village buildings from the 19th century including farm buildings, a mill, church, homes, school and stores. We had a chance to visit with the mill worker and other members of our group were scolded by the school master. 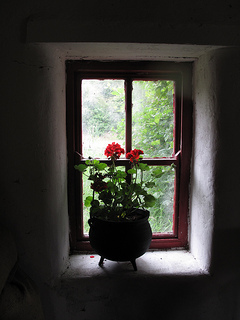 This entry was posted in Europe - United Kingdom, Farms and Gardens, Historic Sites, Ireland and tagged 1400s, 1800s, Bunratty Castle, Castle, Folk Park, historic, history, Ireland, living, mill, museum, village on July 15, 2012 by admin. 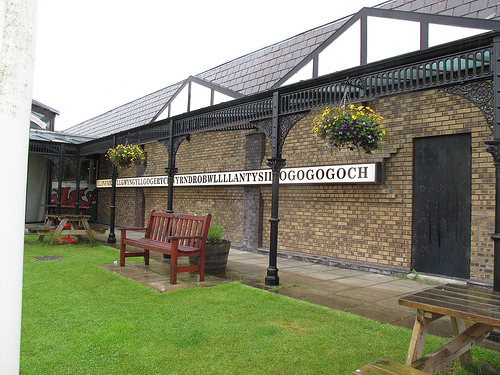 Llanfairpwllgwyngyllgogerychwyrndrobwllllantysiliogogogoch, in Wales has one of the longest place names in the world. 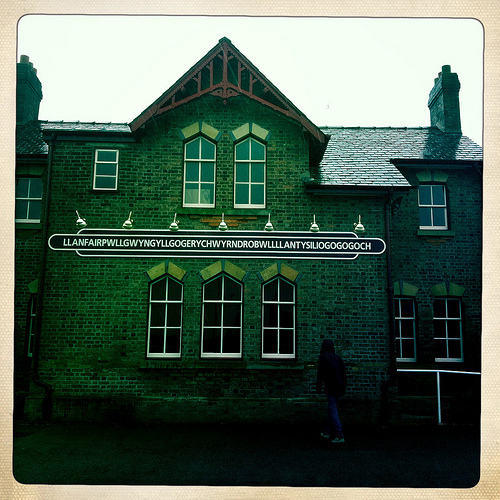 The village/train station originally had a shorter name, but in the 1800s they were renamed in an effort to increase tourism. The picture below shows the gift store. 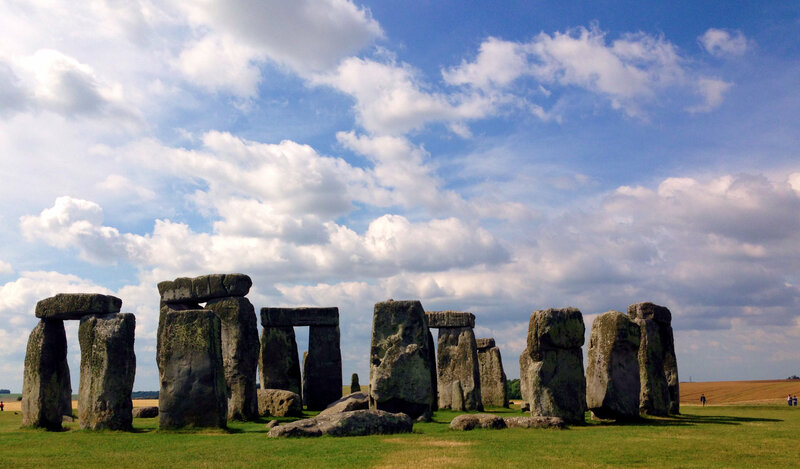 This entry was posted in Europe - United Kingdom, Travel, Wales and tagged Llanfairpwllgwyngyllgogerychwyrndrobwllllantysiliogogogoch, marketing, station, tourism, tourist, train, Wales on July 13, 2012 by admin. 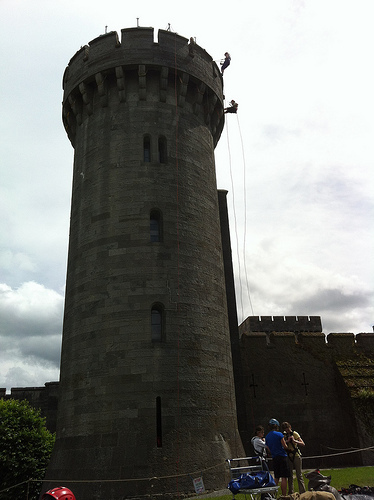 I was a little concern about a 70′ abseil over the tower wall at Penrhyn Castle, but it went fine (after they convinced me to finally let go of the nice secure wall!). 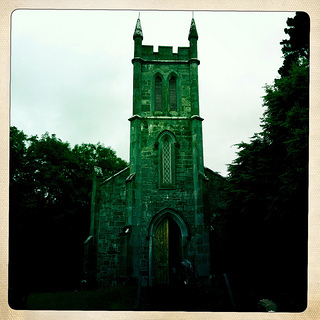 This entry was posted in Europe - United Kingdom, Historic Sites, Sports, Wales and tagged abseil, Castle, challenge, heights, Penrhyn, tower on July 12, 2012 by admin. Edinburgh is the capital of Scotland and its second largest city in the United Kingdom. 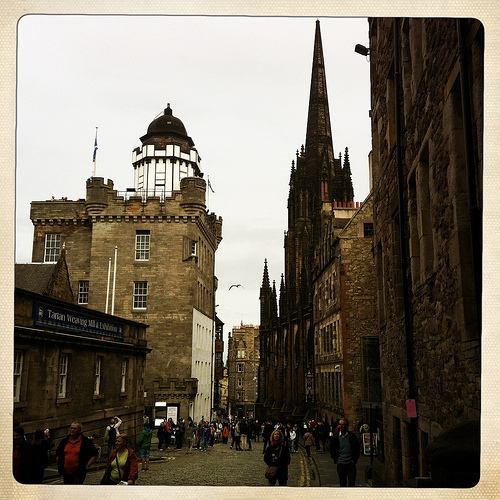 Our time in Edinburgh was short, but we had a chance to walk part of the Royal Mile (the main street through town) and see the castle. 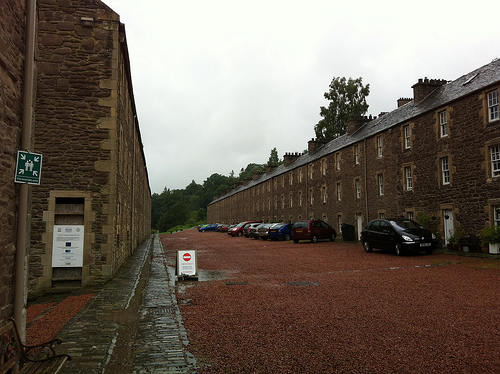 This entry was posted in Europe - United Kingdom, Scotland and tagged Edinburgh, hostel, New Lanark, Scotland, UNESCO World Heritage Site, youth on July 12, 2012 by admin. We went out looking for The Lock Ness Monster (Nessie) on the Lock Ness in the Highlands of Scotland, but sadly did not find him or her. 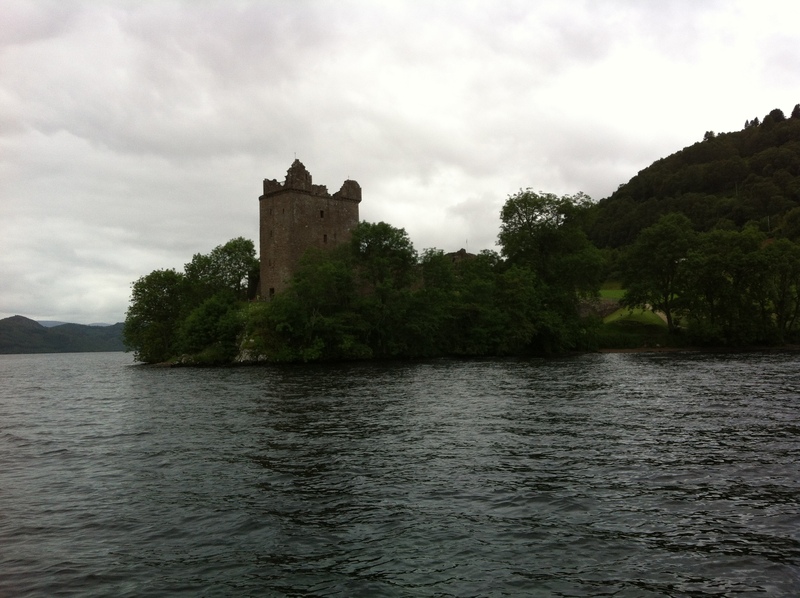 But it was still a great boat ride and we got to see the ruins of Urquhart Castle (constructed in 1200s). After the Lock, we went to see a shepherd with his sheep and sheepdogs. 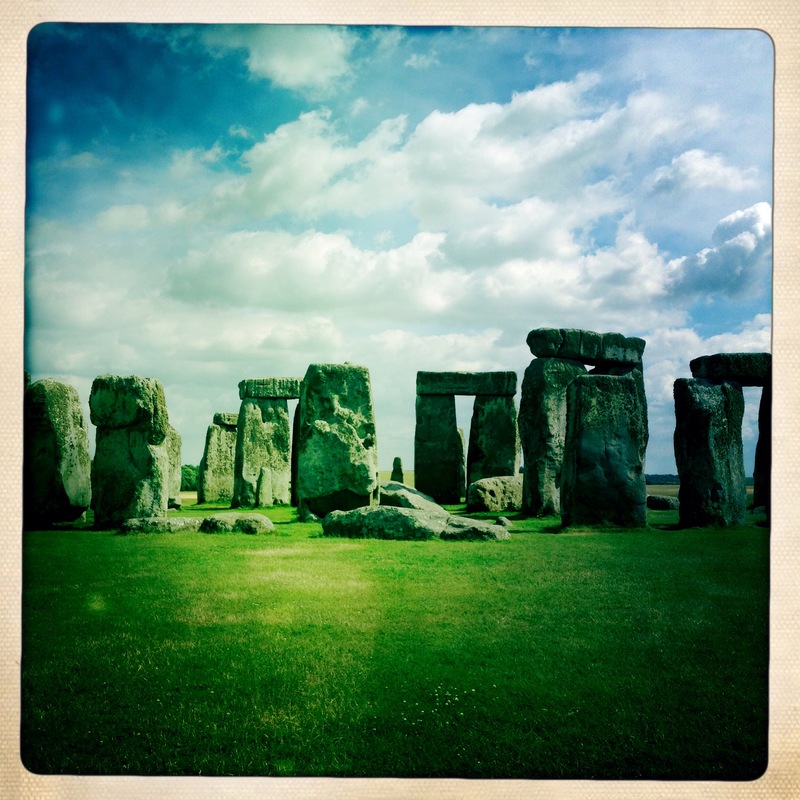 This entry was posted in Europe - United Kingdom, Historic Sites, Scotland and tagged Castle, herd, herding, Highlands, Lock, Monster, Ness, Nessie, Scotland, sheep, sheepdog, shepherd, Urquhart on July 9, 2012 by admin. 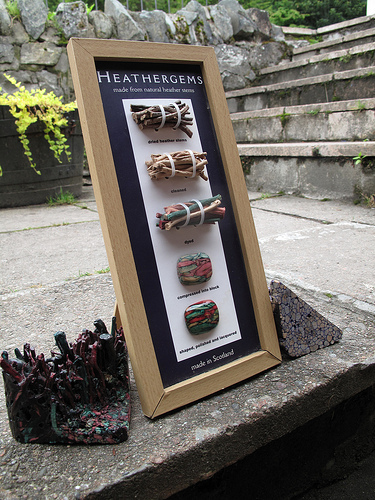 There is only one place to buy jewelry made from the heather plant and that is from the Heathergems Factory in Pitlockry, Perthshire, Scotland, UK. The making of the gems is a cool process. First the roots of the heather plant are gathered and cleaned, then they are cut and dyed different colors from local, natural dyes and then they are bound tightly. Over time they roots compressed into a single multicolored piece which can then be cut and shaped like stone. Once shaped, the gem is shellacked and mounted for jewelry. This entry was posted in Art -- there is art here!, Europe - United Kingdom, Industry, Scotland, Stores and other places that sell you things, Unique Shopping (stores with some personality) and tagged art, factory, heather, heathergems, Heathergems Factory in Pitlockry, jewelry, Perthshire, Scotland, UK on July 8, 2012 by admin.